Ideal for ledges, sills, gutters and ridges. Safe and humane bird control. Broadstairs Bird Control Services install pigeon spikes for all building types in Kent. Broadstairs Bird Control Services provide professional installations of pigeon spikes in Kent, Surrey, London and Essex. Like pigeon netting installations, pigeon spikes are one of our most popular products that we install as an effective deterrent against pigeons to stop them from perching on roof edges, window sills, ledges, pipes, balconies and guttering. We can install pigeon anti perching/roosting spikes on any property covering large areas to protect your building from pigeon infestation. 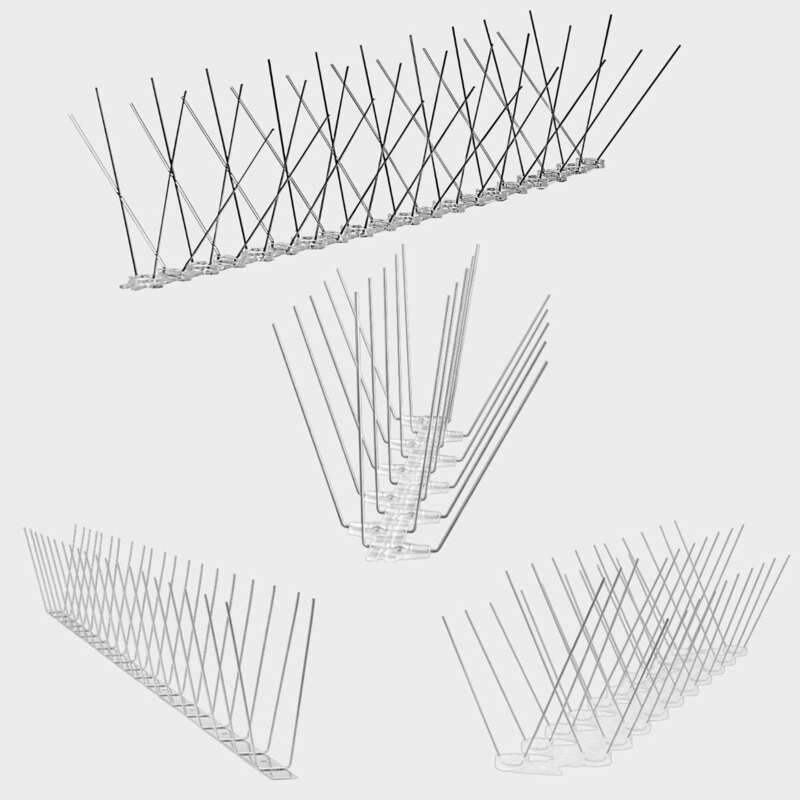 Pigeon spikes come in a range of sizes in both stainless steel and UV stabilised polycarbonate. Both are very discrete and unobtrusive. Pigeon spikes do not cause harm birds. The tips of the spike are rounded. They are designed to deter birds and alter their habits. Spikes are an approved method of bird control deterrent. Pigeon spikes are an effective deterrent against invading pigeons designed to keep them from landing on ledges, sills, shop signs, beams and roof edges. Once we have established the severity of the problem we will advise on the best protection as pigeon spikes come in a range of designs with less spikes for low pressure and more spikes per run where pigeons have perched for some time. As far as possible, we take into account the aesthitics of the building so can fit stainless steel or polycarbonate bird spikes. Both have U.V resistant bases. We fix this into place with an industry mastic or we can screw into place. Installing pigeon spikes in Broadstairs. Call us today to arrange a FREE site visit and quotation. Bird spikes can be combined with other deterrents such as pigeon netting, the Avishock electric bird deterrent system and any other control methods. NOTE: Depending on site condition, it may be advisable to have the affected area professionally cleaned by us if there is a build up of bird droppings. This will eradicate any health and safety implications.